Welcome home to your newly renovated, stylish contemporary home. This home features 3 bedrooms plus den, 1 luxurious bath with over-sized tiled shower, and fully upgraded kitchen with plenty of room for prep and cooking. Entertaining is a breeze with the open floorplan from the kitchen to the living room and dining room with plenty of room for conversation. The front yard is enhanced with lush, tropical landscape with sprinkler system while the over-sized fully fenced backyard is ideal for hosting barbecues, large parties, or just relaxing in the hammock under the oak trees. This home is completely move in ready with a newer high efficiency AC system (2014) and updated electrical and plumbing, including entire sewer line replaced (2016). There is plenty of room to add a second bath off of the master bedroom with partial pre-plumb already complete! 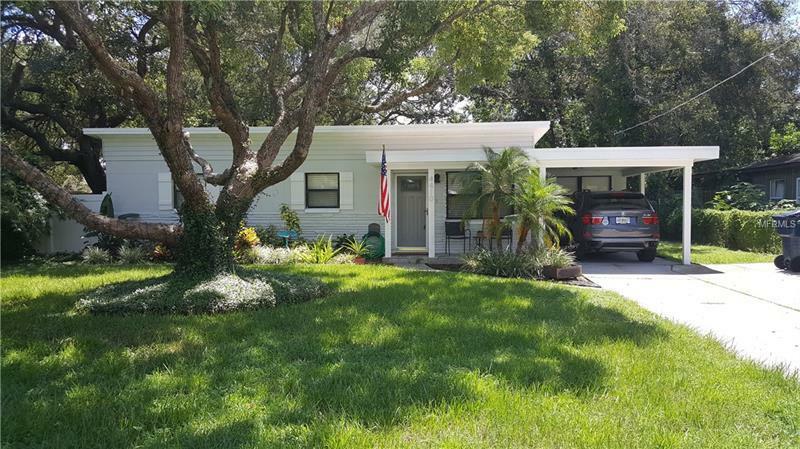 Conveniently located in highly desirable south Tampa minutes from MacDill AFB (2.5 miles), downtown Tampa (6 miles) and just a few blocks east of the new Westshore Marina.